If you are new to European traveling and would like to know where to start, you would benefit from finding out where the Europeans themselves love going within Europe. The Europeans know their continent the best. Therefore, places they love to frequent would be worthwhile for an international traveler. Palma de Mallorca in Spain was voted as one of the best places to live in the world in the Sunday Times. Dotted by fanciful and charming shops, the picturesque old town has a slow paced lifestyle. This is perhaps why the Europeans love to flock to this town to get away from the hustle bustle of their daily life. The city can be traversed by walking, and is a short drive away from charming Mediterranean beaches. Palma de Mallorca is only a short flight from most northern European destinations. Dublin has been voted as the friendliest cities in the world twice. This makes it an attractive destination for Europeans and international visitors. The city is well known for its fantastic nightlife, rich history and literature and so on. The slow-paced Irish lifestyle is a great break from the usual rush in the daily lives of busy, urbanites. Things to do while in Dublin include a visit to the Guinness Storehouse and a tour of Saint Patrick’s Cathedral, Ireland’s biggest Cathedral. Dalaman sits in the South West coast of Turkey and the beaches sit on the pristine, blue Aegean Sea. There is no denying that it is the beautiful landscape that attracts more than 2 million tourists a year. The all-year round sunshine and postcard perfect landscape is what attracts domestic tourists to the town. Known as the Turquoise Coast, sightseeing options on the island are unlimited. Visitors can enjoy a rejuvenating mud bath or visit the loggerhead turtles found in abundance on Iztuzu Beach. 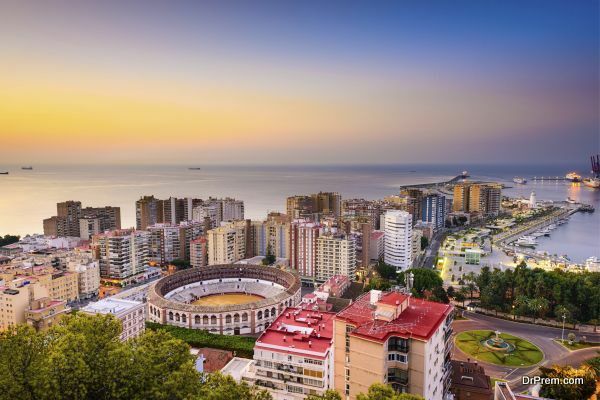 Malaga is easily reachable from most North European countries and is also a favorite among Europeans, especially during the summer. Malaga is known for its numerous tapas bars and beautiful cathedrals and palaces. Do not forget to visit the beautiful palaces. These are only some of the destinations that Europeans flock to get relief from their busy lifestyles. Go ahead and explore!